Investment in quality stock is our greatest asset and our clients always receive excellent and stable quality from Discefa, no matter the season. Ditusa only works with the Highest Quality and does not use second-grade products. Discefa can tailor the format to the particular needs of the client. The commercial brands that belong to Discefa are leaders and benchmarks in the sector. Box wholesale of Fresh and Frozen Octopus. Variety of Formats: Raw Octopus in tray, Whole Octopus in Flower Form, Boiled Octopus, Tentacles, Heads, Sliced, Chopped, Sushi, On-demand formats. Top quality frozen whole octopus, raw and presented clean eviscerated, classified by size on tray (from No. 00 to No. 4), individually packaged and labeled, with minimum Protection Glaze of 2%, the Maximum Performance on the market. 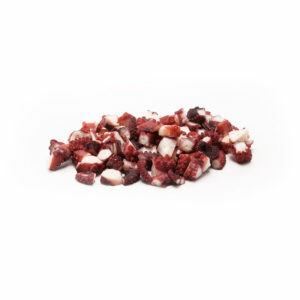 The raw octopus retains the typical appearance of fresh octopus in terms of consistency, texture, color, smell and taste. Presentation: Individual Recyclable tray. Origin: Octopus from Morocco (Dakhla) – FAO 34, Mexico (Yucatán) – FAO 31, Chile and Peru – FAO 87. Top quality raw whole frozen octopus, clean eviscerated. Presented in IQF or vacuum packaging, sizes varies from T1 to T7. The flower-form raw frozen octopus preserves the typical appearance of a fresh octopus in terms of consistency, texture, color, smell and taste. Presentation: Individual whole octopus in master recyclable bag per box. Origin: Octopus from Morocco (Dakhla) – FAO 34, Mexico (Yucatán) – FAO 31, Chile and Peru – FAO 87. Deep-frozen raw octopus tentacles. IQF packaging is presented in Bulk and with 10% Protection Glaze, its format is ideal for HORECA channel. The tentacles of frozen octopus retain the typical appearance of fresh octopus in terms of consistency, texture, color, smell and taste. Presentation: Recyclable Polyethylene Master Bag. Origin: Moroccan Octopus (Dakhla) FAO 34, captured by artisanal fishing gear. How to prepare frozen octopus for consumption? Defrost and wash the octopus. Fill the pot with water enough to cover the whole octopus. The water has to reach to its boiling point (100º C), and once it breaks to boil, place the octopus in the pot and let the water returns to boil, then lower the heat and leave to cook on a low heat for about 25 minutes. Turn off the heat and let the octopus rest in the water for another 20-25 minutes. The octopus is ready for consumption. Serve according to taste. Whole octopus cooked “High Quality”. It is served cooked in the Traditional Mediterranean Way or Sushi Type, “Ready to Eat”. IWP presentation with a 2% Protection Glaze. The cooked frozen octopus keeps the properties and characteristic flavor of freshly cooked octopus intact. Presentation: Whole octopus cooked and packed in a polyamide and polyethylene recyclable container. 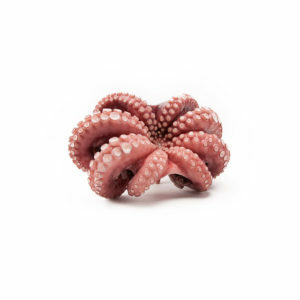 Origin: Moroccan Octopus (Dakhla) FAO 34, captured by artisanal fishing gear. High quality Octopus Tentacles Cooked and served in the Traditional Mediterranean Way or Sushi style, “Ready to Eat”. Vacuum or Skin Packaged (Packages with fixed weight). The cooked frozen octopus maintains the properties and characteristic flavor of a freshly cooked octopus intact. 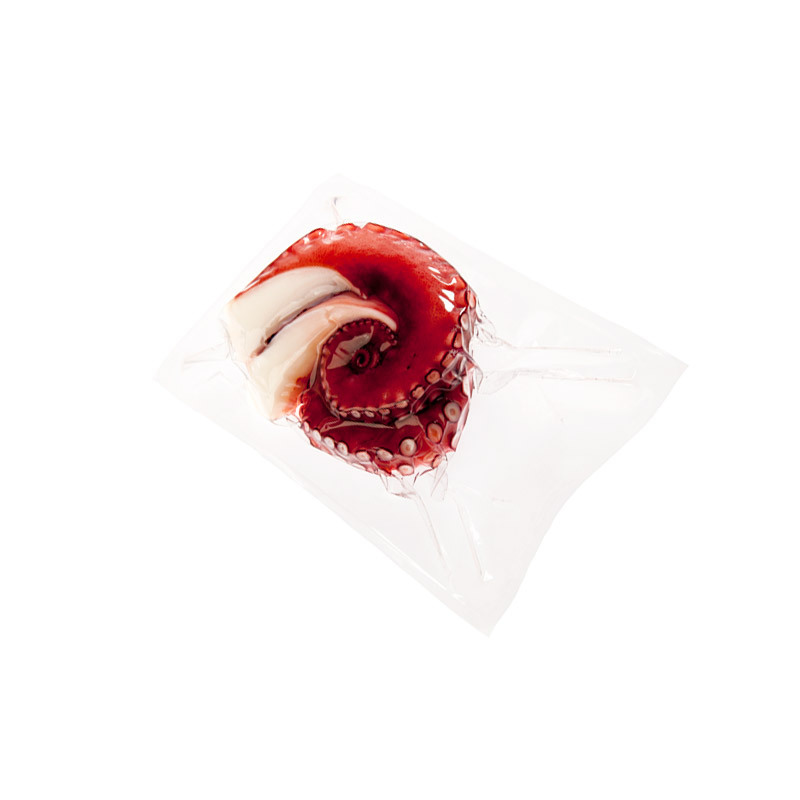 Presentation: From 1 to 4 tentacles of uniform cooked octopus, depending on the size (S, M, L, XL), packed in vacuum, in polyamide and polypropylene packaging of 24 * 16 cm. Recyclable container. Origin: Moroccan Octopus (Dakhla) FAO 34, captured by artisanal fishing gear. Octopus slices cooked “High Quality”. It is served cooked in the Traditional Mediterranean Way or Sushi Type, “Ready to Eat”. Vacuum or Skin Packages (in packages with fixed weight). Contains 0% glaze. The cooked frozen octopus keeps the properties and characteristic flavor of freshly cooked cooked octopus intact. 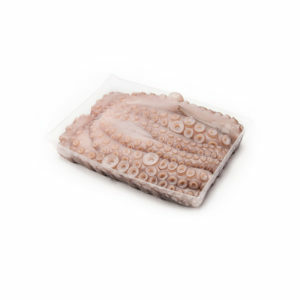 Presentation: Cooked octopus slices vacuum packed, in polyamide and polypropylene packaging. Packages with fixed weight. Recyclable container. Origin: Moroccan Octopus (Dakhla) FAO 34, captured by artisanal fishing gear. 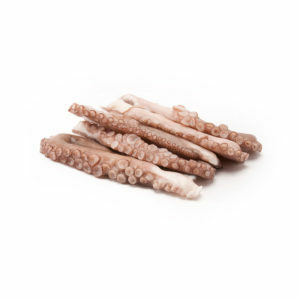 High quality Cooked Octopus Heads in Traditional Mediterranean Way or Sushi style, “Ready to Eat”. IQF presentation in bulk or vacuum packed. Contains 0% glaze protection. The cooked frozen octopus maintains the properties and characteristic flavor of a freshly cooked octopus intact. Presentation: Cooked octopus heads cut into strips in 10 kg bulk boxes. Recyclable container. Origin: Moroccan Octopus (Dakhla) FAO 34, captured by artisanal fishing gear. Cooked octopus sliced. Special for processors or producers, packed in bulk in boxes of 10 Kgs. Cooked in Traditional Mediterranean Mode or Sushi Type, “Ready to Eat”. Contains 0% glaze. 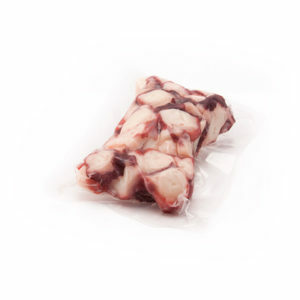 The cooked frozen octopus keeps the properties and characteristic flavor of freshly cooked intact octopus. Presentation: Cooked octopus, cut and distributed into 10 kg bulk boxes. Recyclable container. Origin: Octopus from Morocco (Dakhla) FAO 34, Mexico (Yucatán) FAO 31. How to prepare frozen cooked octopus for consumption? Recommendations for use: Cooked product. 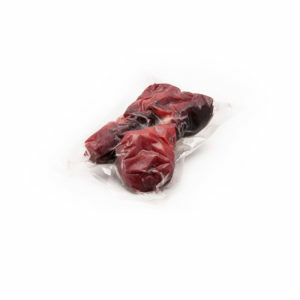 Defrost without removing the container in the refrigerator or submerge in water at room temperature for approximately 30 minutes until thawed. Heat the octopus in the microwave at medium power for 2 minutes. 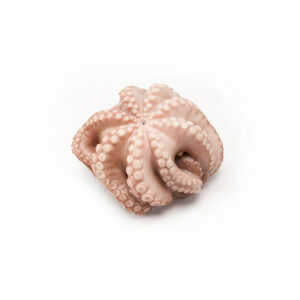 Our production system allows us to commercialize and distribute wholesale octopus in any size and format. We prepare format and finish according to the client’s specifications. Contact us for more details. DESTINATION: EUROPE, THE USA, CANADA… AND THE WORLD! Routine daily seafood shipments by means of pallets, lorries, or containers to more than 35 countries function as a simple and problem-free system for the client. This allows our clients to consolidate the shipment of seafood to any port in Europe or via container (40’) for complete loading to destinations in Asia, the Middle East, or any other part of the world. North America is a market that recognizes the value of quality. DITUSA, a subsidiary of the Discefa group, has developed a highly dynamic storage system on both coasts to supply wholesale octopus in the United States. We work for small and large seafood distribution with the highest quality standards.